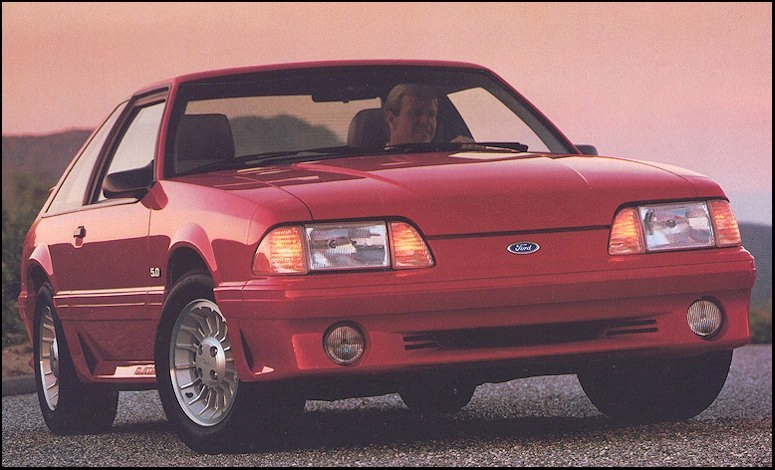 The 1990 Ford Mustang was essentially the same as the 1987 through 1989 model years. Given an economic slump Mustang sales dropped by nearly 40% in 1990. Minor changes could be found on the exterior and interior of the 1990 Mustang but the drivetrain remained unchanged. The interior of the Mustang saw the introduction of a drivers side airbag as a standard item in 1990. This change necessitated the removal of a tilt column and a few gauge indicators. Other minor changes included shoulder belts for passengers in the rear seats and slightly different HVAC controls with larger and easier to read dials. 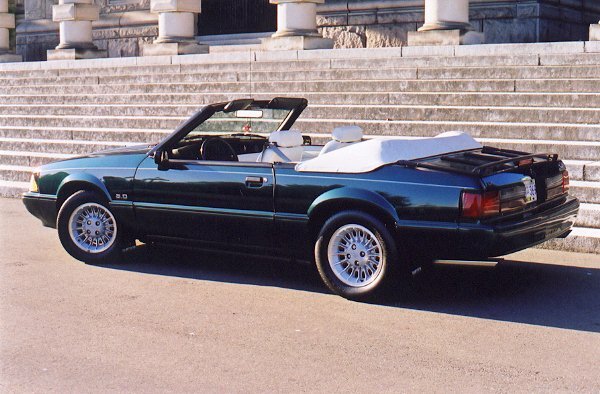 The exterior of the 1990 Mustang saw the removal of the belt line tape stripe and the introduction of a few new colors: titanium silver, a new strawberry red, and two new blue tones. The 1990 Mustang also represented the 25th year of production for the Mustang lineup. 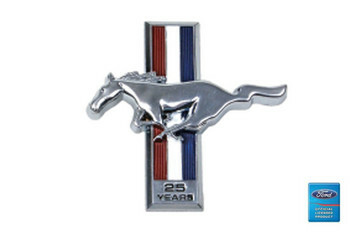 As such all 1990 Mustangs and some 1989 Mustangs received a special 25th anniversary badge on passenger side of the dash. 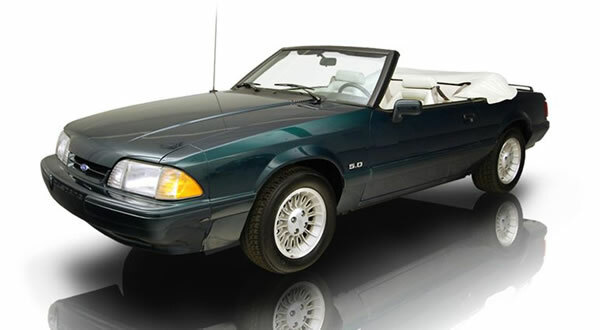 During the 1990 Mustang model year there was one very unique model called the "7 Up" model. Supposedly, The 7-UP Copmany was going to give away several of these cars at the NCAA basketball finals as a contest. However, at the last minute, the contest was canceled. All 7-UP cars came with the 225 horsepower 5.0 EFI engines, but for Steve Saleen provided an aftermarket supercharger installation for an additional charge. At least a dozen cars were so equipped.